The winter chill is giving me some big time resort and tropical weather longing. 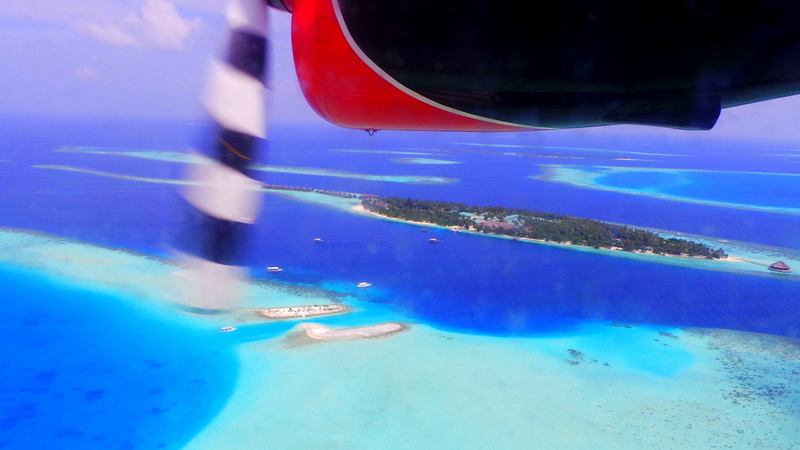 Reminiscing about our Maldives trip, I realised we’ve gone on 6 seaplane flights. 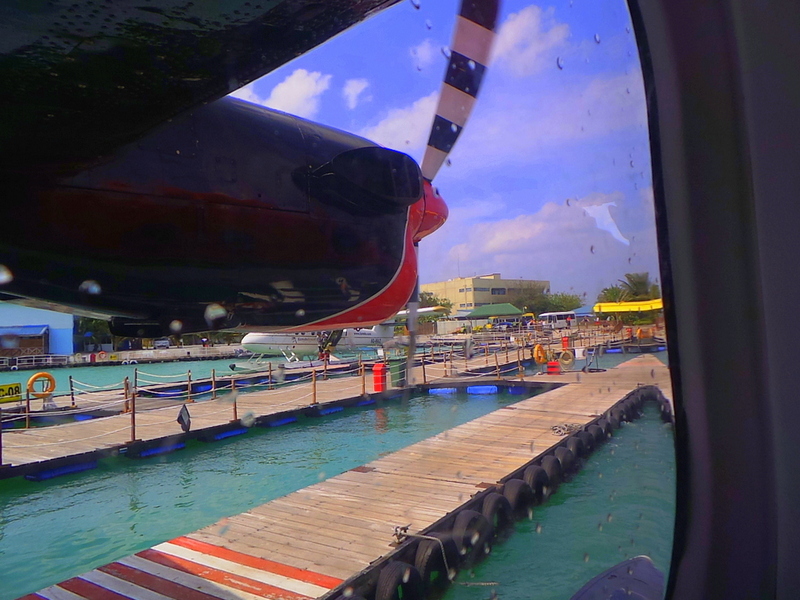 Going on a seaplane is easily one of the highlights of travelling to the Maldives. Some people hate it (if you are claustrophobic you might fall under this group) and some love it. 1.) There is only ONE Seaplane company / airline. 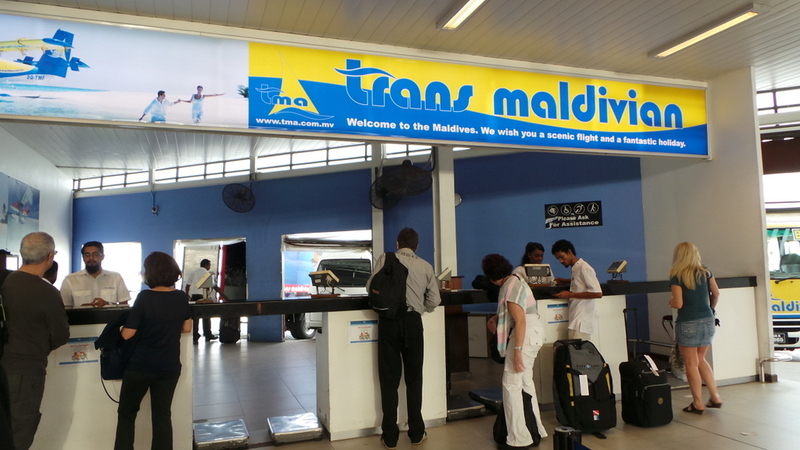 There used to be 2 ( Trans Maldivian Airways and Maldivian Air Taxi, but in 2013 both were acquired by a company called Blackstone, and now operate under the official name of Trans Maldivian Airways. Your resort of choice will usually book the seaplane transfers for you. Once you are checked in and are given your boarding pass, you will be herded to go on a mini-bus with other passengers. You have to take note which gate you need to get off ( A, B or C) which will be advised to you by the check-in agent. On our 6 seaplane transfers, none ever departed or landed on time. And I’m not whining or complaining. I’m just telling it exactly how it was. There is no point getting agitated. Because for some reason I cannot fully explain, they all manage to work it out. There seems to be very good communication between Trans Maldivian and all the resorts, because no matter how we would arrive hours later than the expected ETA at a resort and we would greet the resort in a barrage of apologies, the resort staff carried on like it’s nothing, and it IS nothing. All of them know that no seaplane ever arrived on time and that it is normal. Regardless if you are waiting on the general boarding area or a resort’s private lounge, I can tell you that they will really make you welcome any flight delays with zen. Which I think was pretty cool given how humid it is in the Maldives. And if you think this isn’t cool enough…. Most especially during take off and landing. It’s like having the engine of a dozen Harley-Davidsons rev up ride beside you. They provide earplugs for this. The earplugs are not so much for pressure but the noise. Take note that the destinations of the seaplanes are all resorts (all resorts are their own island). So if a resort happens to be on the way / route going to another resort, chances are the seaplane company will round up all the guests on those 2-3 resorts and will drop off guests accordingly. If you are on the last resort, this means you get to take off and land several times. Which was exciting for me, and not so much for other people. 9.) Pack light, and pack sturdy. You are allowed 20 Kg baggage allowance plus an extra 5kg of hand carry. Oh take note btw that the ‘hand carry’ items will be stowed at the back of the plane as well. There’s a bit of chance that your bags will get wet. The photo above, we had just landed and were waiting on the pontoon for the resort boat to pick us up. The waters were choppy and the bags were getting sploshed a little here and there with the space in between the wooden slats. Our bags fared well as they were a hard case, but I feel bad for the folks who owned the soft case bags to the left. 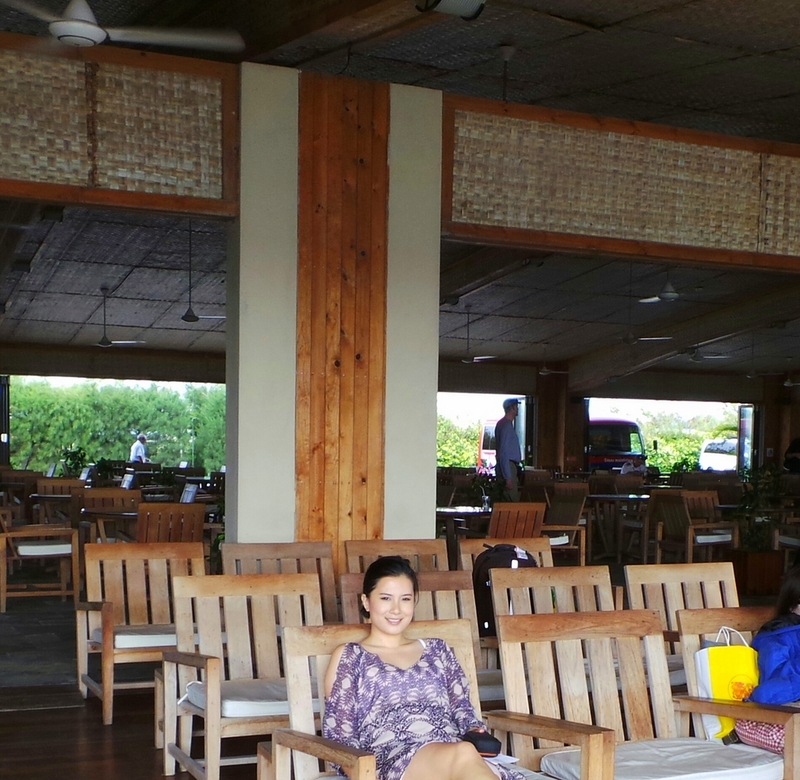 Read my Victorinox luggage review which I took with me for this Maldives trip. 11.) Finally, no matter how cramped, hot or noisy it is inside a sea plane…. Have you been on a seaplane? Did you like the experience? If not, would you go on one? NIYAMA Airport Lounge in Male, Maldives Subsix- The World’s First Underwater Nightclub Scenic Landing Views From My Flights I’m Off to Fiji to Find Myself! Next Stop: the Maldives! Picking the Right Travel Bag : There’s One for Every Travel Occassion! Oh very appealing pix, and I love the idea of a barefoot pilot. I have never ever been on a seaplane. Have been meaning to take the Rose Bay to Palm Beach plane for years and years. Birthday treat idea! Wow what an awesome job your friend has! I did notice the pilots seemed very chill (relaxed and happy) I guess who wouldn’t be – having paradise as your office day in and out 🙂 There are advantages to flying in small cramped planes – the sights! I have been on one but I think the pilots wore shoes-it was winter so I think they’d be cold otherwise. It was quite a bumpy ride and I was feeling a bit sick afterwards but you’re right, the views are amazing! Its good to know what to expect when flying, i didnt realise the engines were so loud! I am on the fence of “loving it” and “hating it”. Our seaplane dropped off 2 passengers 15 minutes after we took off and then we had to take off again. I got sea sick and had to close my eyes most of the time. Most of the photos I have (overlooking the sea/islands) are courtesy of my daughter. My kids are trooper travelers – they didn’t get that DNA from me!! Even Benjamin (2 yrs 8 months) wasn’t groggy at all!! Grace I think it’s the combination of fuel smell plus the cramped feeling inside the seaplane that makes most people sick, not to mention the roaring engines! They are at least quick. Hope you feel better on the flight back. I felt sick on the bigger ‘small’ planes – the domestic flights when we were there – because nothing’s worse than being on an almost 2 hour flight with the AC blasting B.O smell 🙁 –which was my experience at the 2 domestic flights we had. Fantastic article and lovely Maldives ! 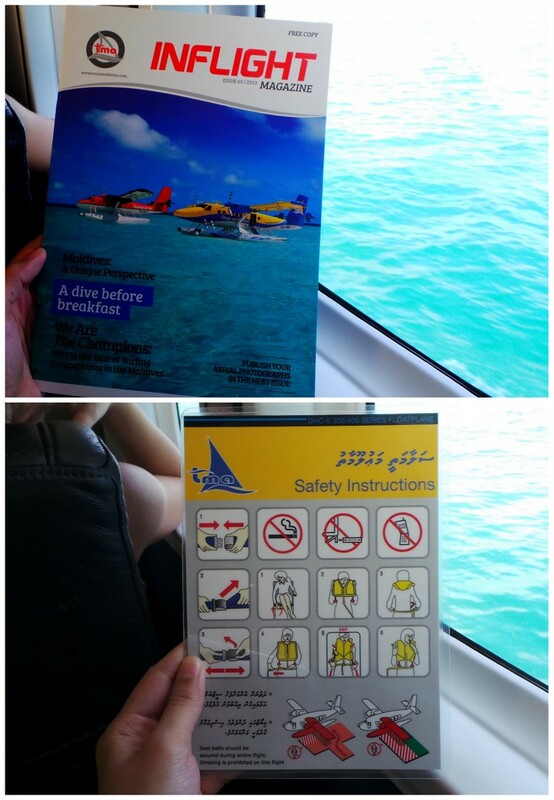 We went for a cruise around Maldives but we also had the chance to experience a seaplane air sightseeing tour . We booked this excursion via a local company but they need a minimum of 4 passengers to arrange this tour. Spending 20 minutes in the air , seeing all these beautiful islands and atolls was such a fantastic experience ! Congrats for your articles and pictures and please keep writing !